Planning is great, but execution wins the game. College and professional football teams will go into every one of their games this Fall with a solid game plan. Run first, to set up the pass; pass first, to set up the run; keep the football away from the other team’s star player, etc. On paper, each team knows what it will take to win the game, but only one team can actually win. What makes the difference? Execution. The same thing applies to nonprofit strategic planning. Many agencies have wonderful strategic plans. Visions of a better future down the road, pages of details outlining the plan, possibly even some thoughts about who might be involved. Some of these plans are shared online, some might be covering agency walls, everyone in the organization knowing something about some part of it. Enthusiastic and optimistic leaders continually share the plan’s key features to anyone who will listen…. Why do so many plans seem to just gather dust in file cabinets? Why do leaders struggle to make the leap from plan to execution? I’ve seen several reasons strategic plans fail, even if the plans themselves are well written and make sense. But there are 5 key factors that seem to have the most significant impact on the potential success (or failure) of strategic planning. 1. Lack of understanding: Every board leader, team member, and volunteer, must understand what the new strategic plan is, why it is important, and how their role fits into the new plan. If those involved aren’t given a chance to fully grasp the bigger picture it will be difficult to make the day-to-day decisions that lead to effective change. 2. Out of sight-out of mind: The agenda of each board and staff meeting should include key parts of the plan to keep it fresh. If it’s not consistently brought up and discussed, people will forget about it or decide it doesn’t matter much. The strategic plan may have a vision and goals that are long-term, but when you reference key portions in relation to what’s happening each month, week, or even how one day might impact the future, the plan becomes real. 3. Missing the Why: Each person needs to understand not only why the plan itself is important, but why just continuing to do “what’s always been done,” is not an option. Leaders must build a “burning platform” providing a compelling reason for positive change. They must paint a picture for a better future and how the plan will help the team get there. 4. Making the hard calls: Sometimes new plans require leaders to make tough decisions. When a leader ducks a tough call, everyone knows it and the leader loses some respect. Deciding to change is hard. Pushing change forward is even harder. It usually involves letting go of something, to reach for something new. Trading the “known” for the “unknown” and making the tough decisions to create and reinforce this culture can be exhausting for a leader. 5. Failure to communicate: The leader must not only be the champion for the plan, supporting it’s vision and goals, but continually talking about it, cheerleading it’s progress, providing updates, handling surprises quickly, and facing any resistance “head on”. They must take on the tough job of explaining the plan and the why, then re-explaining, reminding, and re-communicating. They must allow people to ask questions and understand the plan enough to make it real in their own roles. 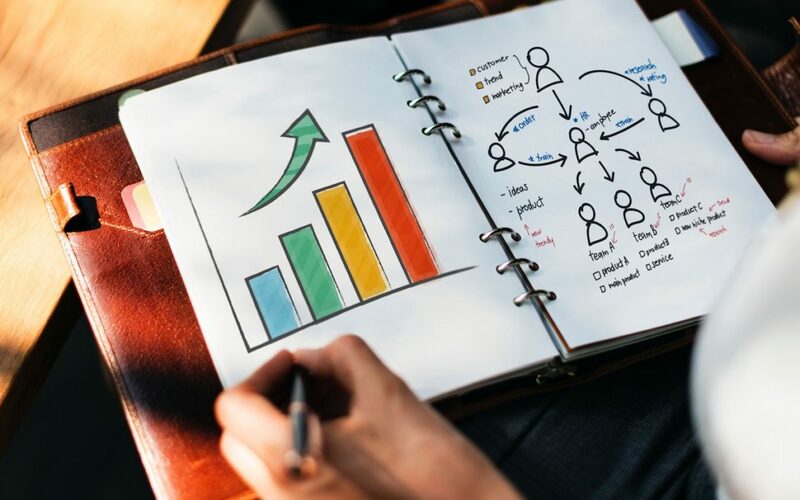 There can be many reasons a strategic plan fails, but understanding these 5 key factors can help you go a long way towards progress. Remember, change can brutal. Changing an organization can be even harder. Changing people can seem nearly impossible. But it isn’t. Everyone wants to be somewhere beyond where they currently are. Everyone wants to play a key role in making that future possible. With the right plan and the right execution, you can strategic planning work. Download 5 Steps for Strategic Planning Success. This free resource will help you learn how to create an effective Strategic Plan. Starting from scratch or need a refresher? Get the free Strategic Plan Template and see if it can help you build a winning strategic plan for next year.